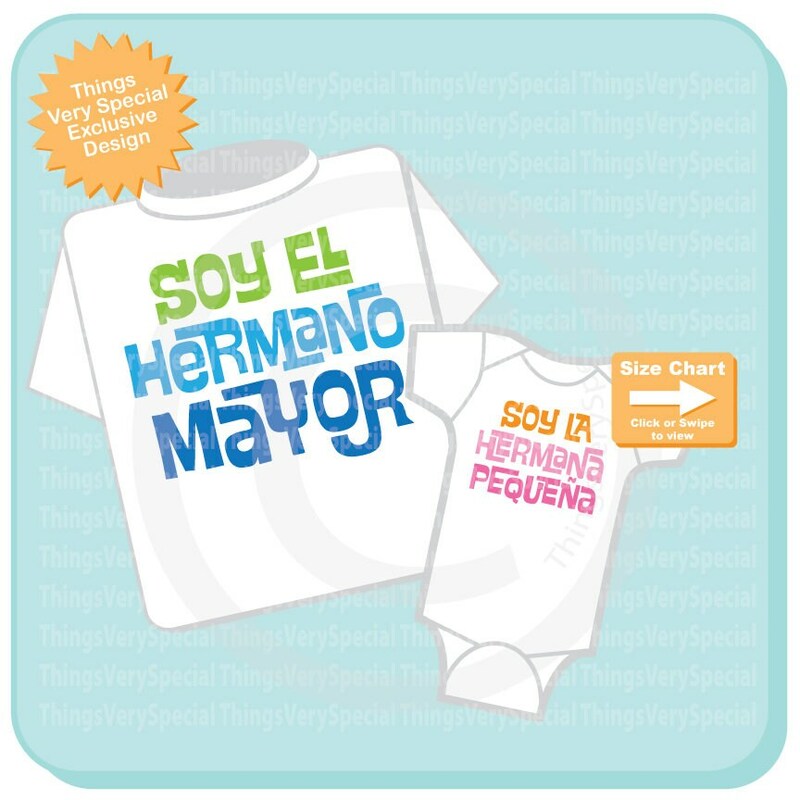 This Set of Two I'm the Big Brother and I'm the Little Sister Colorful lettering in Spanish Hermano Mayor and Hermana pequeña. To avoid confusion these are only printed as shown. If you need a different combination please contact me.